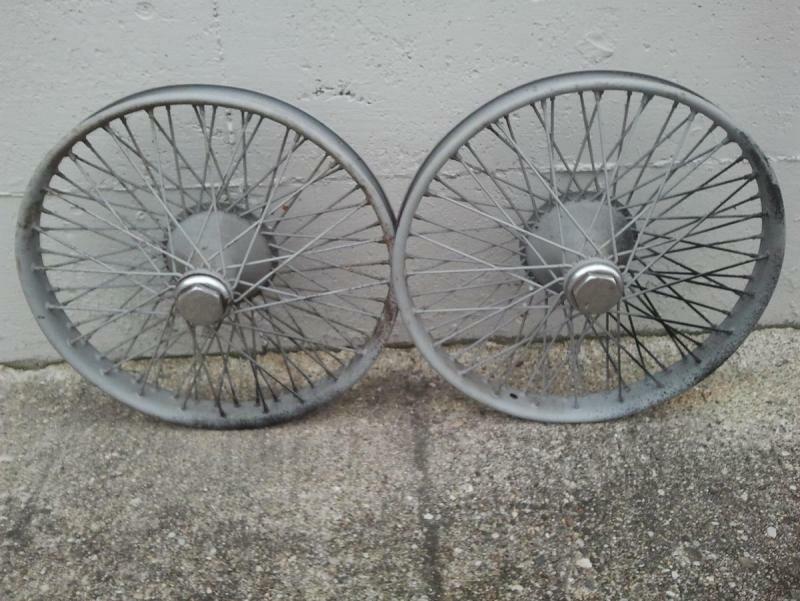 SOLD: A Rare and Desirable Set of 30 x 3 1/2" Dayton Dental Drive Wire Wheels and Hubs. 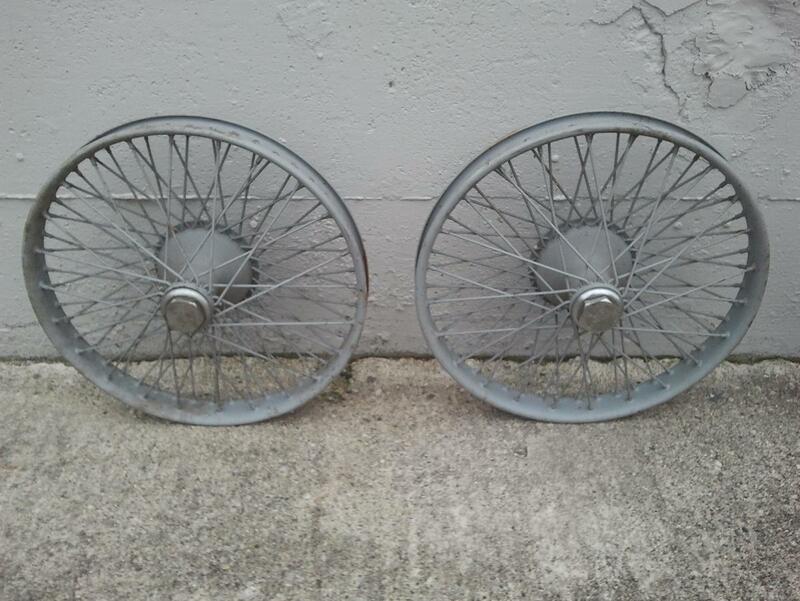 Great for period race car, speedster, etc. SOLD! Thanks to all those who inquired. Here is a rare and excellent set of original 30 x 3 1/2" Dayton dental drive wire wheels and hubs. 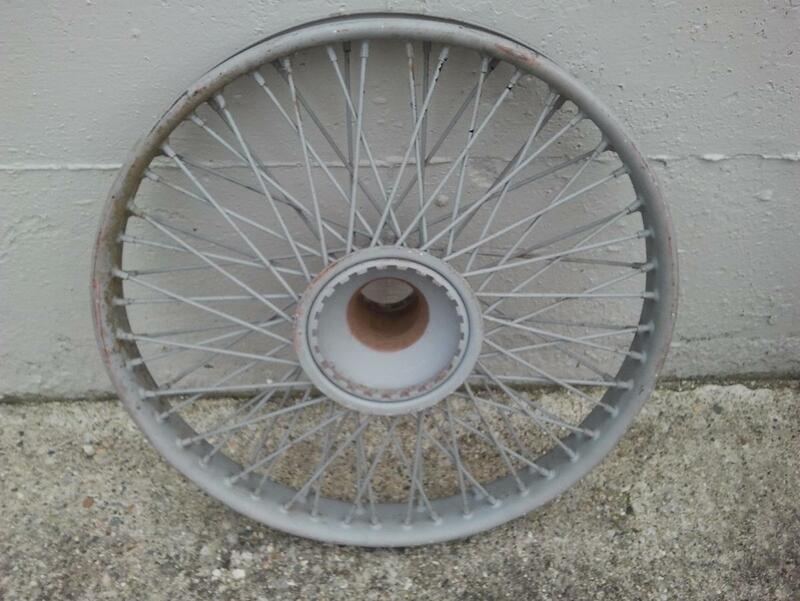 These are probably the nicest set of original wire wheels I have seen in a long, long time. The five matching wheels are about as perfect as you can find. 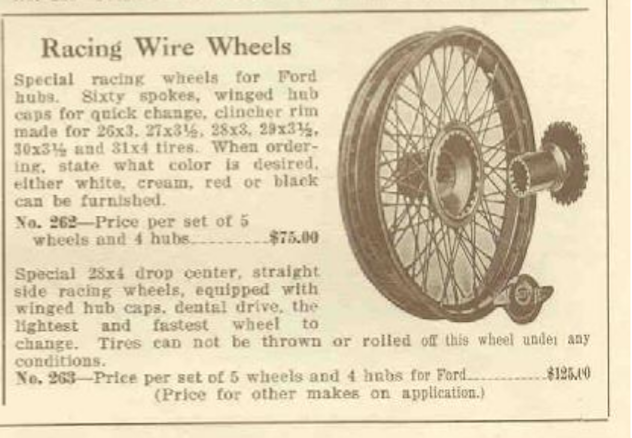 I am not sure the rims have ever had tires on them. The rims all have the original Firestone logos still clearly stamped. 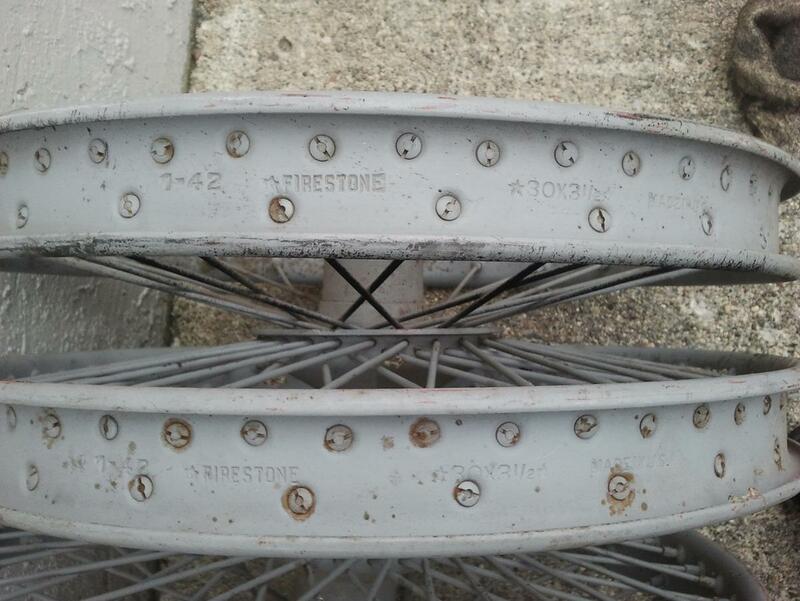 There is no rust pitting or scale on the rims and the edges are just as square as can be. 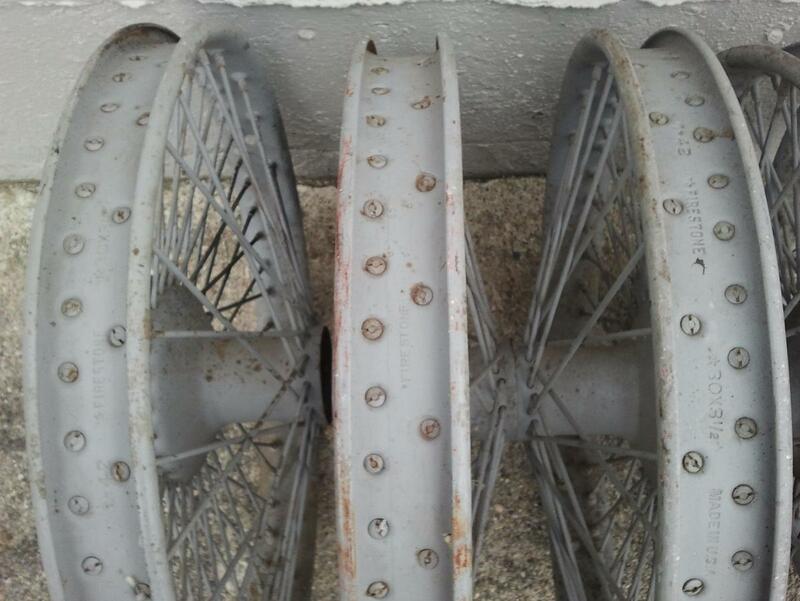 The spokes are all intact, tight, straight and rust and pti free. The centers have no pits in them whatsoever and the dental teeth are sharp and clear. 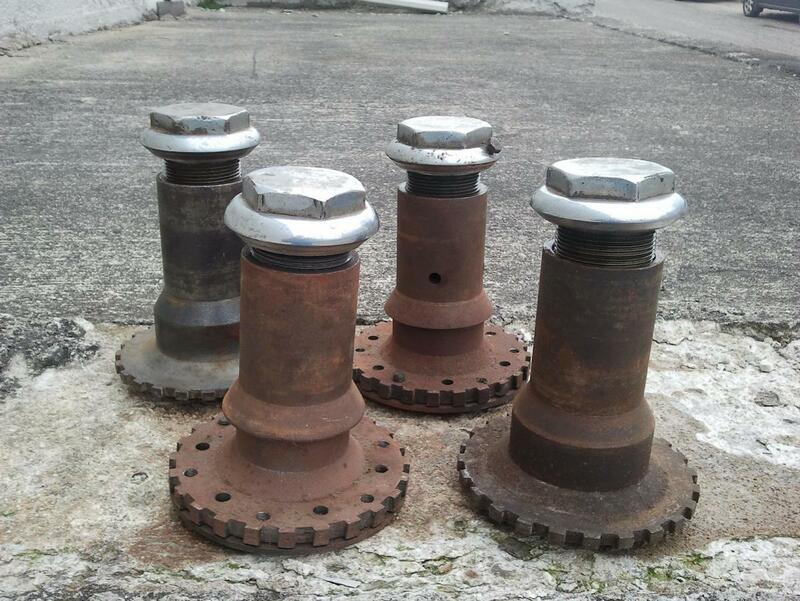 The four hubs are in excellent condition. All four hubs fit any of the wheels tight without any play or movement. They have the proper nickel plated hex caps. 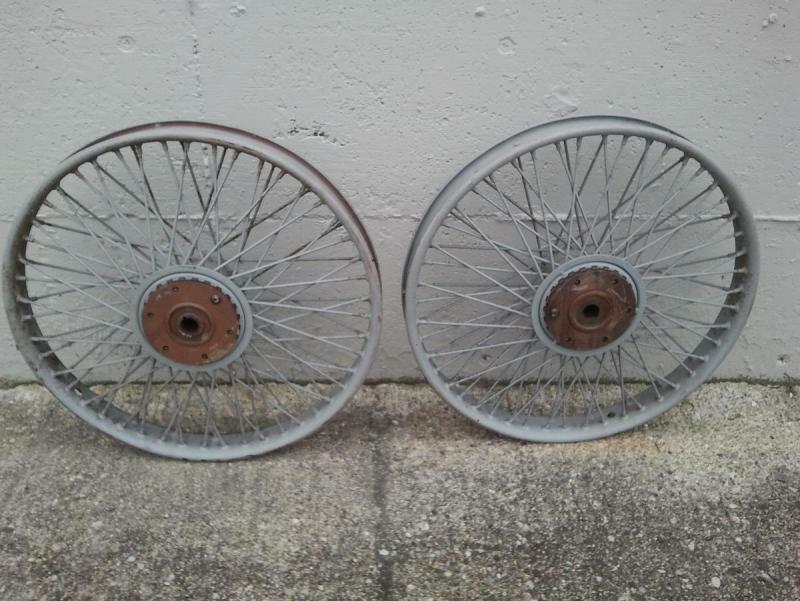 I think the original nickel plating would clean up just fine. 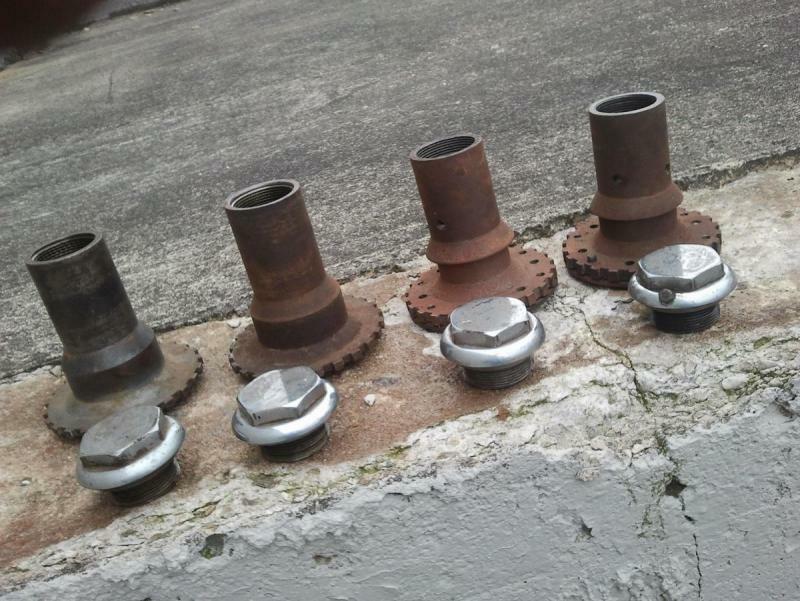 The threads on all of the hubs and caps are undamaged. The screw on and off effortlessly. It doesn't even look like the caps have really been removed with a wrench. 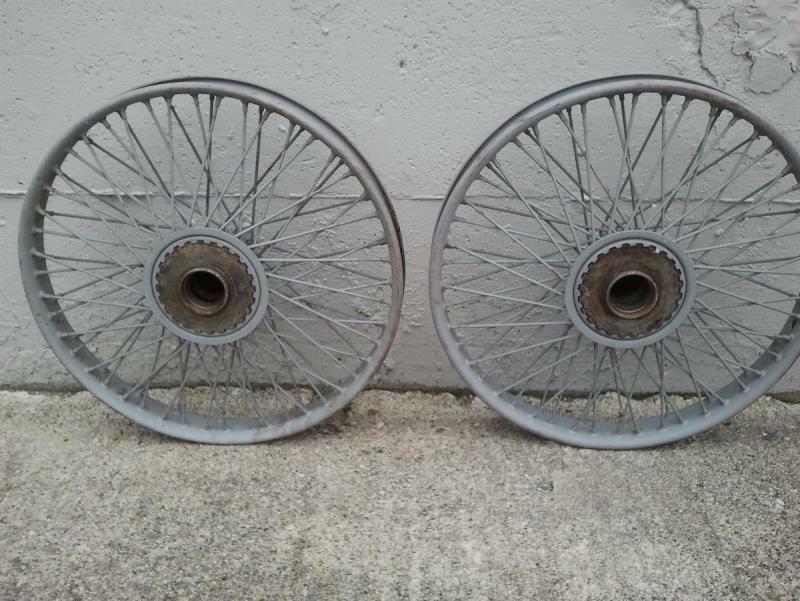 This set of wheels is dusty and dirty from sitting in a garage. They have a very light coat of primer on them that was applied years ago. 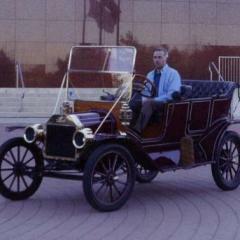 These are set up for Model Ts but could easily be adapted to other early cars. This is just a great set of original and proper wire wheels. These are not a restoration project, nor are they a pile of mismatched pieces and parts. 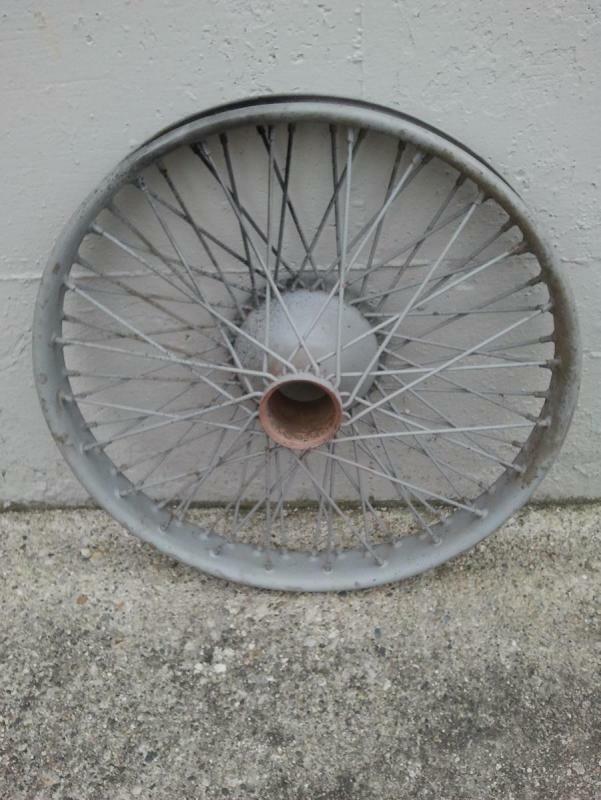 A desirable and scarce opportunity for the serious collector. Priced realistically at 4,800.00. I would rather not have to ship these, but I will certainly work with a buyer to assist in shipping and/or storage until they can be collected. Located near Detroit, Michigan. I accept PayPal. I have lots of detailed photos I can send to the interested. Email directly at: motoringicons@hotmail.com or call 734-730-4274. Thank you.